How does one win elections in Africa? A humorous answer to this question might be that you do not. Chude Jideonwo in his book, How to Win Elections in Africa, writes that the African continent is ‘mostly defined by dictatorship’, despite an ‘exceptionally high number of elections’ having held in recent years. A good extension of this point would be that several recent elections across Africa have been flawed or have been smokescreens to create false legitimacy for undemocratic governments. Seemingly beginning from the premise that Africa is entering a period in which true electoral competition will become the norm, the book outlines a number of factors that matter because they affect electoral victory. The author and his co-writer were deeply involved in messaging related to the electoral triumphs of Nigerian presidents Goodluck Jonathan (2011) and Muhammadu Buhari (2015), and Ghanaian president Nana Akufo-Addo (2016). A reader expecting insights from those campaigns that translate across Africa soon finds that How to Win Elections in Africa relies heavily on viewpoints from American journalists about American politics, interspersed with Jideonwo’s own ideas. StateCraft, Jideonwo’s consultancy firm, gets a few ‘plugs’ in the book as he tries to establish that insights or notions picked up from following American politics apply to African politics. Each factor that matters gets a chapter, usually short and well written. 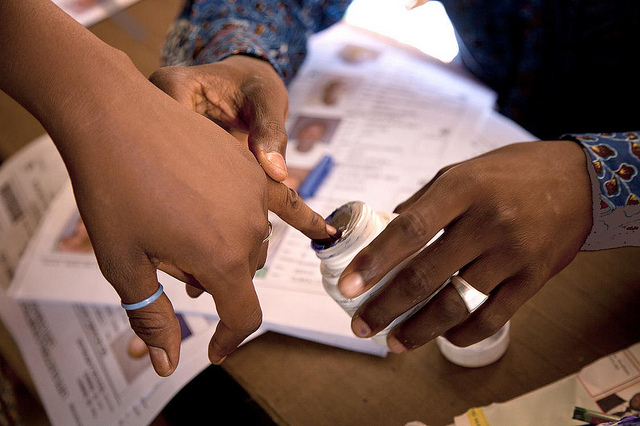 How to Win Elections in Africa is dense and packed with treatments of many topics. The diction is elegant and there are many memorable quotations. The book does not try to explain but rather expresses a number of conclusions. A lot of the mechanics of politics is left unexplored. The human being is nothing if not a thinking being, and not just a thinking being but a feeling being, a reacting being, a receptive being. It is the ability to change, to adapt, to reconcile, and to evolve that distinguishes us (humans) above all from other sentient beings. Our being is centered on our capacity to embrace new experiences, to accept new information, and process new knowledge. Politics, as expressed by Jideonwo, is only possible because human beings can ‘respond and evolve’. As a social science theory, this explanation of the human being is interesting. ‘Blocs of people are predictable but their actions are not’, ‘People act in unconscious collectivity’, and ‘Politics is the art of persuasion, period’ are some other interesting ideas expressed by the author. The book’s exploration of the importance of empathy eventually becomes thoughtful, arguing that empathy is neither a reliable moral compass nor a reliable guide to decision-making because it can be shown to one’s own group and denied to various others. However, the author often swims far from the shore of social science. At one point, he frames basic economics in terms of how a government communicates. While it is interesting to explore how individual perceptions of economic health are linked to individual identities, one soon realises that the swimmer is not waving. How to Win Elections in Africa does not do adequate service to the big economic issues that shape political identities. Furthermore, there is a claim that political parties (of every country, one is left to conclude) organise for the interests of the party leaders. Also, the chapter on psychographics is largely a discussion of demographics, even though there is a separate chapter with the latter as title. The book also declares that the developed world is in a post-ideological phase. Thirty chapters in, How to Win Elections in Africa settles on disruption. It is noted, but not evaluated, that politics has been disrupted by Brexit and the election of Trump. Very much of what the book deals with is based on the upsetting victory of Donald Trump in the 2016 US elections. This event is given a lot of explanatory power and informs many conclusions. For example, on the basis of an article by an American reporter, Ross Douthat, it is concluded that a ‘commonality of peoples across the world’ has refused to validate ‘the necessity of national consensus that does not work’. What that ‘national consensus’ refers to is not really explained. Yet, there is no reckoning with the fact that Hillary Clinton won the popular vote in that US election, thus undercutting many points the author makes about factors that matter in winning elections. For example, the reader is told that joy matters and that the losing Clinton campaign, like all losing campaigns, lacked joy. The reader is also informed that Clinton’s campaign also overestimated the value of money, failed to craft a good message, was unpopular because of her position in the hated elite and lacked authenticity, amongst other things. Value of money, good messaging, elite membership and authenticity are things that matter, Jideonwo says. Yet Clinton comfortably won the plurality of votes in that election but lost on a technicality. For the African democrat, democrat-to-be, or political enthusiast, How to Win Elections in Africa could likely hold a reader’s attention but it is no manual as its title would otherwise suggest. Prospective readers expecting it to be packed full of insights and war stories from African politics will find the contrary. Seye Bassir writes from Lagos.